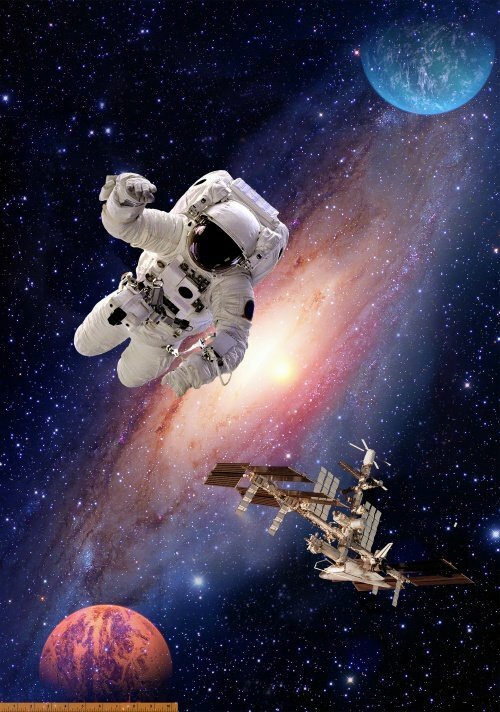 This intergalactic collection features a 24 inch digitally printed panel of an astronaut in space. 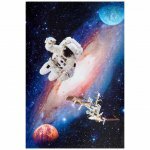 Constellations of stars, planets and the galaxies make for amazing quilts, clothing and accessories. Sew something up that is far and beyond your imagination!